Chances are the clothes you’re wearing right now were made by a woman. Women comprise approximately 75% of the global workforce in the garment industry; the clothes they make are distributed around the globe. Yet within the garment industry, harassment, discrimination, and violence against workers are commonplace. Women working in garment factories experience a range of violations, from verbal abuse by their superiors, to physical assault on the way to or from work, and sexual assault. Many women in the garment industry migrate to large cities from rural towns, have little formal education, and work without contracts or labor protections, making them especially vulnerable to violence. With the International Labor Organization taking up the issue of violence in the world of work, and with the power of the changes in workers’ rights and outcry against sexual harassment rippling through the culture, there is an unprecedented opportunity to shine light on this issue and take action for change. 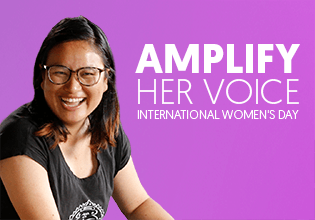 Global Fund for Women’s multi-year garment worker’s initiative, in partnership with C&A Foundation and NoVo Foundation, supports women-led groups in Bangladesh, Cambodia, Vietnam, and India to improve the safety and leadership of women garment workers. In Working for Justice, we take a holistic view of what’s going on in the garment industry and strategies to end violence—from the factory floor, to the women-led organizations helping empower workers and international policy tables. 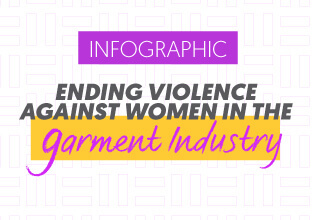 Read how garment workers are organizing against gender-based violence, explore working conditions in factories, and learn how you can support an upcoming international convention to protect workers.